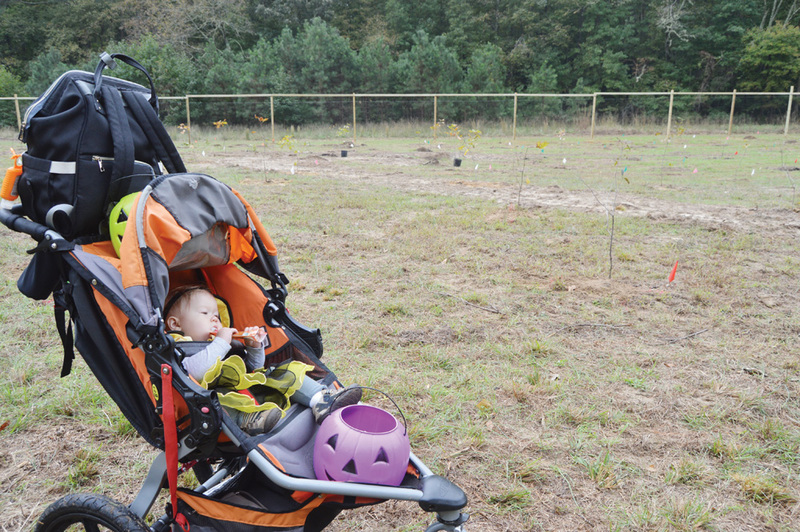 Sue Sigvardson of Ocean View concentrates as she plants a tree at the Assawoman Wildlife Area on Saturday, Oct. 20. 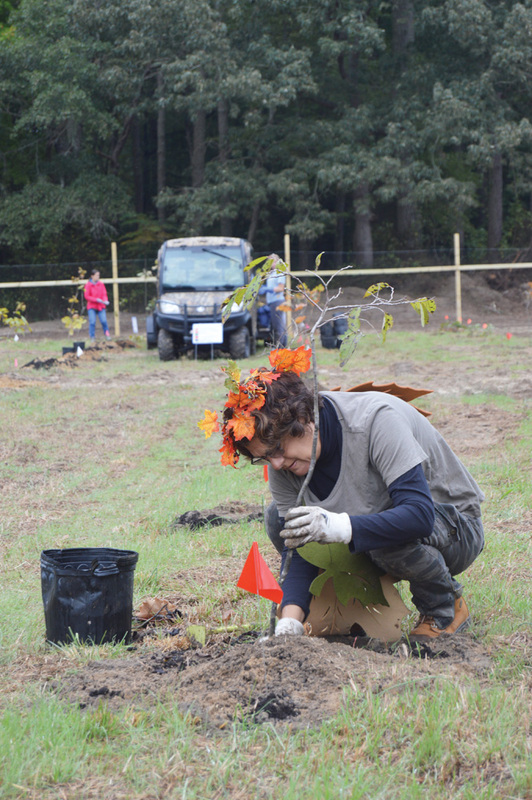 Sigvardson is a volunteer with the Delaware Center for the Inland Bays, which sponsored the event. 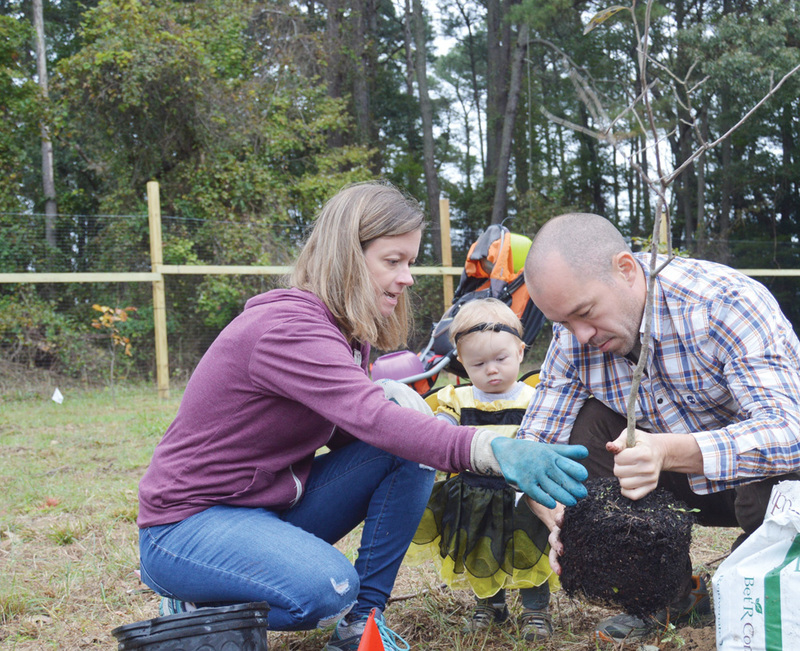 Bottom left, Aimee Isaac and her husband, Eugene Isaac, plant a tree as daughter Addison watches intently. 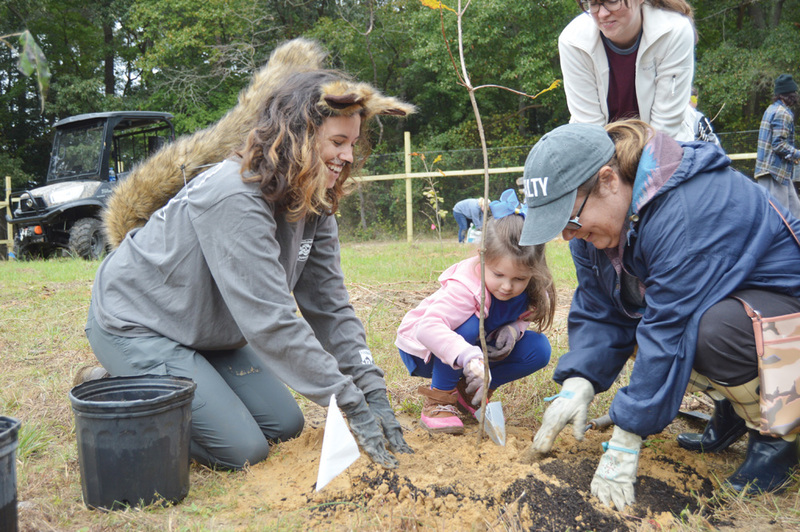 Maeva Colona, 5, of Milton, plants a tree at the Assawoman Wildlife Area with help from her mom, Beth Colona; her grandmother, Lisa Caldwell; and a ‘squirrel’ (who is actually Victoria Spice, science and restoration project manager for the Delaware Center for the Inland Bays).